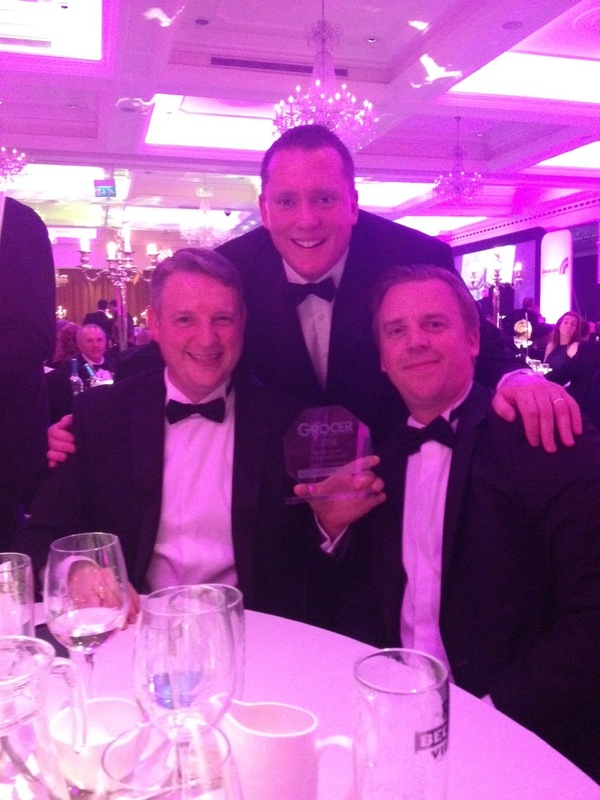 We are delighted to announce that CPM, in partnership with Lucozade Ribena Suntory, has been awarded at the prestigious Ulster Grocer Awards 2015, in the category of: Best In-Store Consumer Sales Promotion. CPM, in partnership with Lucozade Ribena Suntory was shortlisted with The Henderson Group and Irwin’s Bakery and on Friday May 22nd, at the Culloden Hotel in Belfast. The award ceremony featured eight categories designed to showcase the very best that the local food and grocery retail industry has to offer. The campaign chosen for entry by CPM & Lucozade Ribena Suntory was The Lucozade Sport Price Mark Pack Sales Promotion. 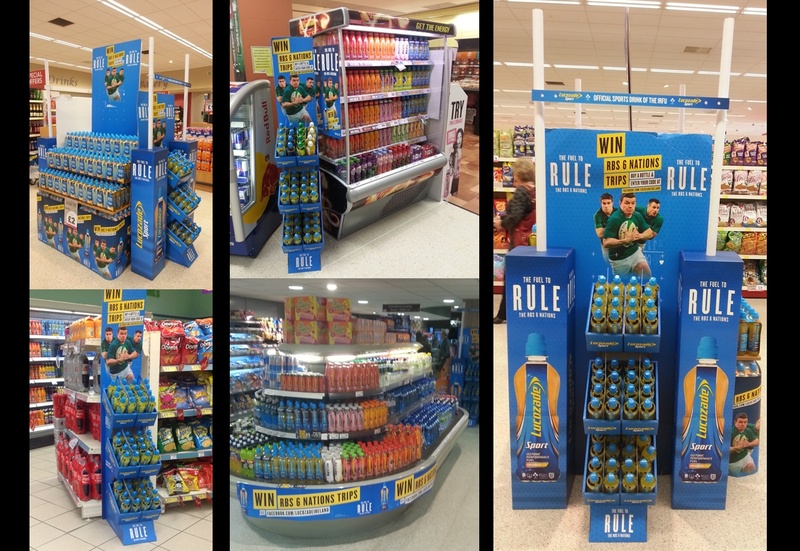 This campaign was designed to activate an in-store promotion that would increase Sales both in Value and Volume for the retailer and the Lucozade Sport brand. In addition the team was tasked with encouraging retailers to switch from standard packs to price marked packs to drive their own sales while ensuring Lucozade Sport retained its number 1 status. As part of the brief it was also very important to use the Lucozade Sport sponsorship of Irish Rugby (IRFU) to help reconnect Lucozade’s sporting heritage and appeal to our target market of both regular individuals and sports men and women. The specific mechanic was an in-store 6 nations promotion to win tickets to the Ireland vs Italy game in Dublin on 8th March 2014. As with all work carried out by CPM, the sales and merchandising activities were executed to industry best standards and as a result a fantastic sales outcome was achieved. “Our team managed to not only maintain Lucozade Sport as the No.1 brand in the category, we also significantly increased sales. We smashed our target of a 25% increase in sales in Nisa stores with an average sales uplift of 39%. Another great result accomplished was achieving a 35% switching of retailers from standard packs to price marked packs. It was a great accomplishment for CPM and our client Lucozade Ribena Suntory and worth noting that the success of this campaign could not have been achieved without the strategic partnership that we have with our client Lucozade Ribena Suntory. It is very much about working collaboratively to ensure excellence for in-store execution. This is key to our success”. CPM also want to especially recognise the team for their hard work, ambition and influencing power through strong store relationships and consultative negotiation skills, as well as creativity on behalf of our merchandisers in store that ensured high impact visibility for customers resulting in sales growth for of our retail partners. CPM is a leading partner for outsourced field sales solutions and this award winning campaign again highlights our consistent commitment to the highest standards of sales performance in the marketplace.